In celebration of his new compilation for Ministry of Sound, Jaguar Skills drops the custom-built ‘Jaguar Skills & His Amazing Friends Vol 2 Game’ which offers a teasing snapshot into what you can expect from his forthcoming compilation. ‘Jaguar Skills & His Amazing Friend Vol 2 Game’ features 10 levels whereby players listen to 20 - 30 second clips of music and have to work out which tracks Jaguar Skills has mashed-up. Answers are multiple-choice and timer based – so the faster the response the more points you gain. 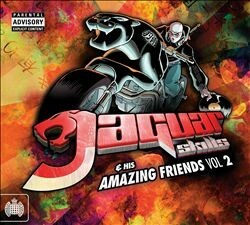 ‘Jaguar Skills & His Amazing Friend Vol 2 Game’ features music from the compilation, which is set for release on July 1.